President of Nigeria Football Federation (NFF), Amaju Pinnick, has assured Nigerians that Super Eagles would defeat their Algerian opponents in the November 12 World Cup qualifying match in Uyo. 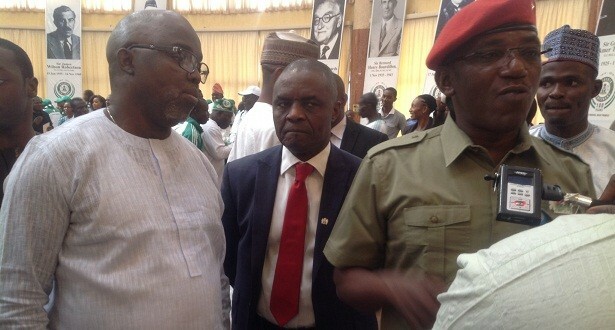 Pinnick told newsmen on Tuesday in Abuja that the federation was satisfied with the team’s preparation for the encounter. “We are very happy with the preparations; the coach, Gernot Rohr, is on top of his game. “He speaks to the players all the time. We believe very firmly that we are going to beat Algeria; we are bent on beating them and winning that game. “Nigeria cannot afford not to see us at the World Cup because we know the ancillary benefits of going to the World Cup and not just the main benefits,” he said. Amaju also assured Super Falcons that the NFF would pay their bonuses soon. “Their bonuses will be paid to them; we are working round the clock and we assure you that all will be well. “The truth is if we do not have, we cannot give; we only crave and pray to have, based on things that are realistic. “We are really appealing to them, and are urging them to be charged up and represent this country. “What female football has done in this country, no other facet of sport has given that prominence in Nigeria,” he said. NAN reports that the senior national female team is owed some match bonuses and allowances by the NFF.